Okay, so you might not typically think of something like insurance as particularly interesting or intriguing, but hear us about – there might be some facts that really surprise you! 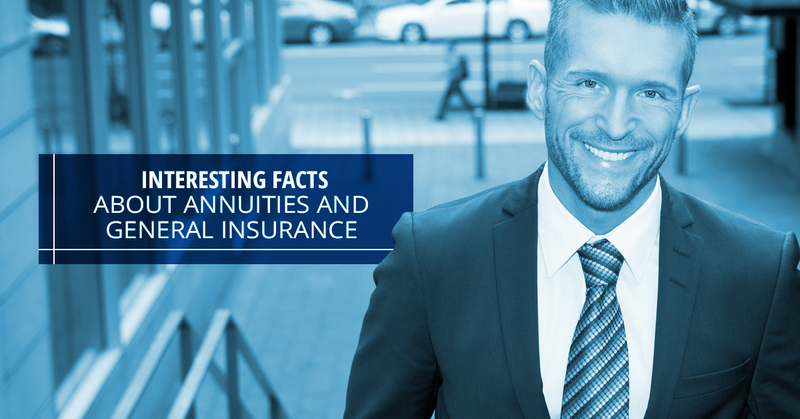 From one of Microsoft’s stock desktop images to a time where one could only purchase fire insurance, the team at Laurel Insurance Partners thinks that you’ll really enjoy some of these random insurance facts. Here’s a fact right off the bat: Laurel Insurance is fully dedicated to providing high-quality Annuities in Hendersonville and the surrounding area. We have a passion for community service and supporting the local residents of Hendersonville through annuity insurance, fixed annuities, and other insurance policy options that we offer. Discover what an annuity could do for you by visiting here. Otherwise, we’re going to take a good look at some facts about insurance throughout the years that you most likely didn’t know about. Let’s begin. Did you know that the Netherlands is the only country in the world where it is actually compulsory for everyone to have private health insurance? Indeed, premiums are not based on age or health status, but rather, on income, and are on average about €100 per month. Why would one purchase insurance just to go golfing with? Well, In Japan, avid golfers buy insurance in order to protect themselves on the course. They purchase it because if they get a hole-in-one, it is customary to purchase gifts and drinks for all of their friends – not that getting a hole-in-one is common by any stretch, but it could happen. The policy usually covers them for a party worth up to $3,000, for the low price of $65 per year. That’s a pretty decent insurance value, especially if you’re a great golfer. Here’s one for the baseball fans – The Padres signed the same handicapped ballplayer for 20 years in a row so that he wouldn’t lose his health insurance. Since 1996, The Padres signed former left-hander Matt LaChappa to a minor league deal each year, when LaChappa suffered a heart attack while warming up in the bullpen for a Class-A game. At the time, he was only 20 years old. The Apollo Astronauts, who were (unfortunately but understandably) unable to qualify for life insurance and were also not insured by NASA, resorted to ‘insurance autographs,’ in which they signed just prior to the launch of their spacecraft with the expectation that the value of these autographs would skyrocket in the event of their deaths. Can you imagine how much Starbucks, the massive coffee giant, pays for its coffee? We’re sure that they’re getting the best possible deals that they can, but the sheer volume of coffee to support their countless locations must be staggering. Well, as it turns out, life insurance is a pretty big expense for them, too. So big, in fact, that Starbucks actually pays more for employee health insurance than it actually pays for the coffee itself. Who knew? Who would purchase antibiotics for fish? People without insurance in the United States would purchase that kind of insurance, that’s who. Why? Apparently, antibiotics for fish are the same grade and dosage as human antibiotics, but do not require a prescription – hence the money saved when one doesn’t have insurance. If you urged the Amish to accept social security, chances are that they wouldn’t accept it. Believing that insurance is seen as not trusting in God, and also view social security as a form of old age and survivors insurance, the Amish refuse to pay the premium for accepting the benefits of social security. This one might not be too surprising, but apparently, no insurance company will underwrite Jackie Chan’s productions. Rather, what Jackie Chan does is he personally trains his own stuntmen and pays their medical bills out of his own pocket. It actually makes more sense that way, but because Jackie Chan is so awesome, we simply prefer to think of him as invincible. In London, there was once a time where one could only purchase fire insurance – around 1682. A metal plate was attached to one’s building, hoping to ensure that if there was ever a fire, their insurance company would fight to extinguish it. Interestingly enough, if the building wasn’t insured, the fire actually wasn’t put out unless it threatened to spread to an insured building. When Microsoft purchased the rights to Charles O’Rear’s iconic ‘Bliss’ photo – depicting green hills and a blue sky – they wanted to purchase the original film. However, when the courier learned how valuable the original film was, they actually declined to ship it due to lower insurance limits. So, what O’Rear did was personally deliver it to Seattle himself. Back in 2003, Pepsi ran a massive sweepstakes to win $1 billion. In fear that some extremely lucky sweepstakes participant would actually win the money, they paid $10 million for insurance. The major insurance company Berkshire Hathaway was the one who insured the payout. See, those insurance facts were actually pretty neat, right? We thought so. While our annuity insurance services might not be as novel as some of these situations described above, our index annuities can help give you the peace of mind of knowing that your future is protected. And who could put a price on the feeling of a peace of mind? If you have any questions about our index annuities, please feel free to contact our Hendersonville insurance company with any questions!